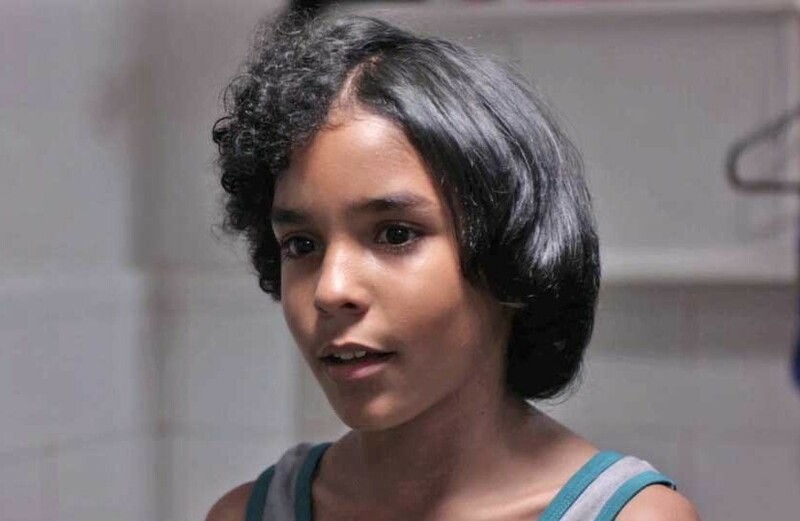 'Pelo Malo' Is A Rare Look Into Latin American Race Relations A new Venezuelan film explores racism and homophobia through the experiences of 9-year-old Junior, who drives his mother up a wall in a quest to straighten his thick, curly "pelo malo," or "bad hair." Actor Samuel Lange Zambrano plays Junior, a boy who becomes obsessed with relaxing his hair. Junior is a 9-year-old living in a poor neighborhood in Caracas. School is about to start, and he has to have his picture taken. Junior, like many Venezuelans, has European, indigenous and African ancestry, which gives him thick, tightly curled hair. He becomes obsessed with straightening it, trying everything from blow-drying to applying gobs of mayonnaise. That last attempt drives his mother, a struggling widow, insane; she threatens to "cortarle el pelo," just cut all his hair off. Pelo Malo is a rare look into identity politics among Latin Americans, where racism is often a taboo topic. Despite the taboo, director Mariana Rondon says, the term "pelo malo" is common currency. "The origin of the term is very offensive. It's very racist. But it's also true that in Venezuela, we are so mixed, that in every single family there is someone with ... 'bad hair.' We joke that the second most profitable industry, after oil, is hair straightening. Because everyone here wants to have straight hair." In Venezuela, hair relaxing is mostly a woman's obsession, and that's where Junior's relationship with his mom takes a darker turn: She becomes haunted by the idea that Junior's quest for straight hair means he's gay. She even goes to his pediatrician. "He sings, he brushes his hair all day," she tells the doctor. "I want to know if he's ... gay." Rondon says the initial goal of the movie was to talk about identity. "Who we are, how we see ourselves. I felt like at the time Venezuela was in this moment in which it was essential that we start respecting each other's differences." The movie is set in 2011; President Hugo Chavez has been diagnosed with cancer, and Venezuelans are uncertain about their future. While Junior is trying desperately to hang on to his hair, the television is broadcasting his countrymen shaving their heads in solidarity with their ailing president. The film is very Venezuelan, but many Latin Americans can relate to it. Bianca Laureano is the founder of The LatiNegr@s Project, a virtual space that aims to discuss history and current events in the Afro-Latino community. She says the battles over hair are very much present in her own life: "I have family members who I have never even met. And I meet them, and part of the conversation will be, 'I don't like your hair the way that it is.' "
Laureano says while she wishes the movie had dealt with its issues in more depth, she thinks it's representative of a sea change in the way Latinos discuss race. "What I definitely see an increase of is people who identify as Afro-Latino. This is who I am, this is my story. We take part in this as well." In the film, Junior's fate is not clear-cut, and audiences are left to question what will become of him as an adult. Director Rondon says that question gives her hope. "You are asking about the future. I'm glad you're asking that. It means you know there is a future. And there is a possibility that things won't be the way they've always been." Pelo Malo is now showing in select cities across the country.